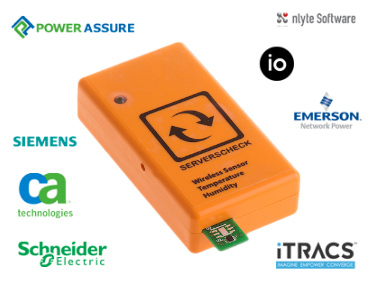 ServersCheck offers a modular, scalable and affordable solution to monitor your data center. 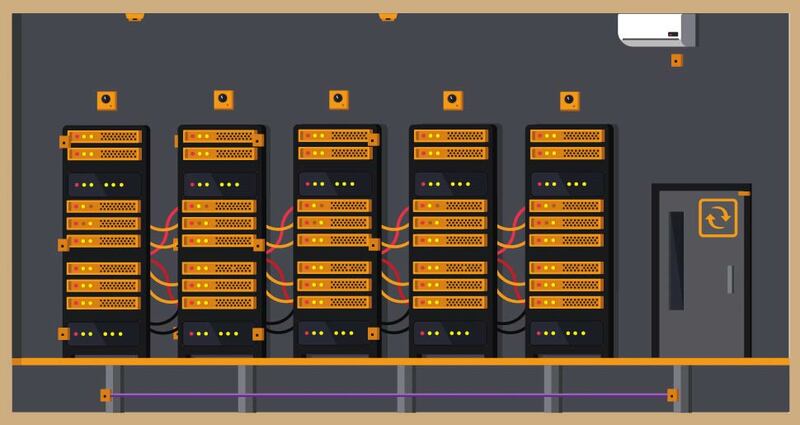 It fits data centers of any size: from just a few racks to thousands of racks. The sensors are connected to base units that are stand alone devices. The base units operate on their own. No subscription or software required. 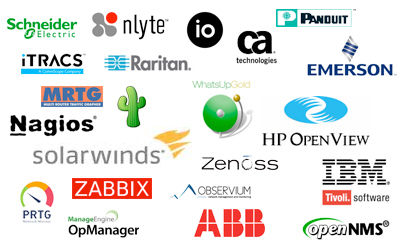 They have built-in email and SNMP trap alerting capabilities. The entire solution is modular: you just take the sensors you need and you can always add more sensors later based on your actual and future needs. Not sure what you need? 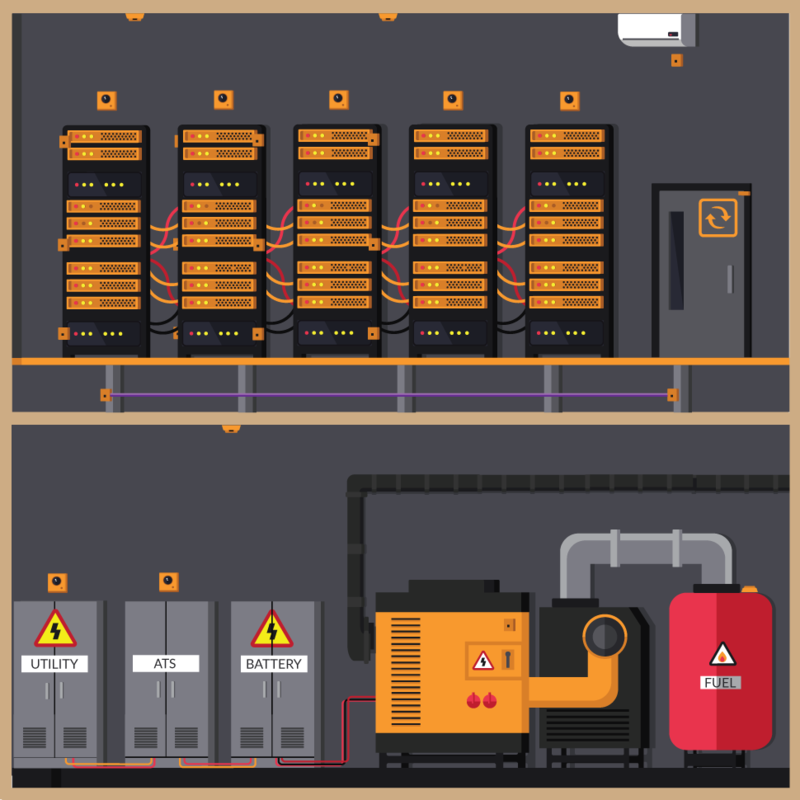 Then check out our best practices for data center monitoring based on industry standards. Large data center operators can use our wireless temperature and wirelss temperature + humidity sensors to monitor rack level conditions. With ASHRAE recommending 6 temperature sensors per rack, a wireless kit (base unit, wireless hub and sensors) can monitor up to 5 racks or up to 10 racks when using 3 temperature sensors per rack. We recommend to use our wired temperature and temperature + humidity sensors for monitoring racks in smaller data centers and server rooms. 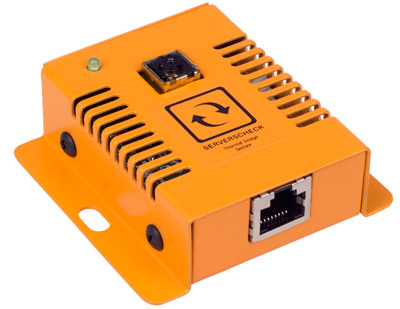 ServersCheck introduces the world first SNMP & Modbus thermal image camera sensor. Non stop it scans temperature in 4800 points within its 50° Field Of View. You can use it to detect thermal runaways in your hot and cold rack aisles, replacing the need of deploying multiple temperature sensors per rack. Inside ATS and power cabinets it can monitor for thermal runaways of contacts that would checked periodically using a thermal heat gun. Our leak detection sensor is capable of detecting water leaks under raised floors, HVAC units, pipes and more. 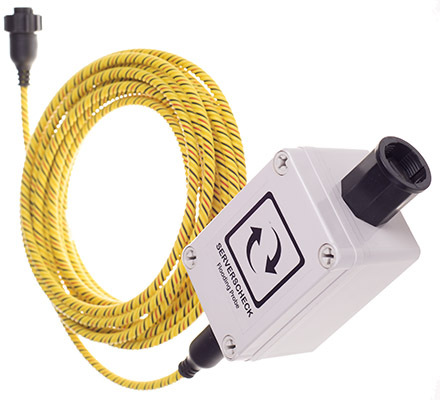 An alert is triggered whenever water touches the cable. The cable comes in a standard length of 20ft can be expanded up to 200ft. With the option Monitoring Software get visual leak mapping based on your floor plans. Integrates via SNMP with your NMS and thru Modbus TCP with your BMS. Next to rack level and ambient room monitoring with our temperature & humidity sensors, you can also monitor following environmental conditions in a server room or data center: water leaks, airflow, air quality & dust particles.